This is Lynn’s Swoon quilt and she is going to use this as a large wall hanging so asked for custom quilting! I’ve had this quilt on my machine all week and it was so nice to take it off my machine and see all the quilting texture in the sunlight! 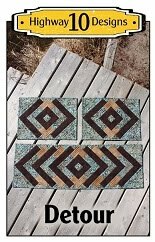 Lynn suggested a few modern and traditional quilting design so I incorporated a mix of both to give it an eclectic feel! 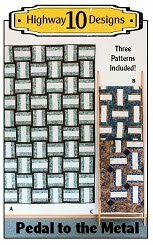 I had search Swoon quilts online for inspiration and most of them are quilted edge to edge but there where two custom quilts that stood out to me. You can see Kay’s here and Linda’s here! I have been following both these ladies blogs for many years, they are great inspiration to me. Sometimes just one little design element can spark a series of ideas and you end up finishing a quilt in a way you never imagined when you started. 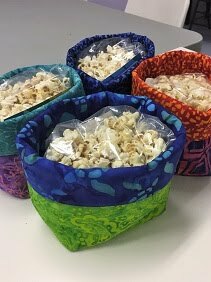 That is what happened here, I had only a few simple ideas planned when I loaded this quilt on Monday then the ideas just grew from there. It is still cold here, –20’ with a –25’ windchill when I was taking these pictures! Then I quilted the two over lapping squares and added a feather motif inside. After that the big open space in the background….what to do there? I knew I wanted a small feather motif in a diamond shape and have more line radiating out of the center. Did a lot of stitching and ripping to get to the final design with the pebbles and curls. The batting is Quilters Dream Blend and the thread is So Fine. I also used Invisifil for the pebbles. 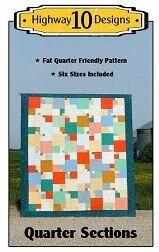 Your quilting always looks fabulous! Wow! I love how this turned out. Your quilting is gorgeous. And the fact that you take such beautiful pictures in such cold, cold temps is really amazing. I'm serious. brrrrr. Lynn is going to be over the moon with what you have done with her Swoon. Absolutely gorgeous quilting. Outstanding job on this Swoon quilt! 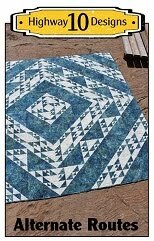 I have one that is just about ready for the Long Arm - and have been going over lots of ideas in my mind - now you've given me some more inspirations - I love these swoon quilts - the big blocks just scream out for some fun quilting - but e2e looks great on them as well. it really is stunning and I love all the designs that you used in this one. An amazing job by both yourself Kathy and by Lynn. A beautiful piece of art for your wall Lynn. 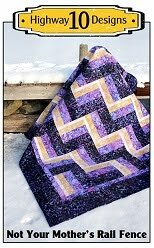 Kathy: Beautiful quilting! Wow! Absolutely stunning!!! Outstanding custom work. It's stunning! What a great job you did on this beautiful quilt Kathy! It is just gorgeous!! Congrats!! Your quilting on this is over the top beautiful. My daughter is making Swoon...I sent your link to her. Love your posts!! Beautiful quilting! I think I'll get my long armer to do edge to edge on my Swoon. It's for my bed. I can't believe it's still -20! Has it warmed up now that it's April?